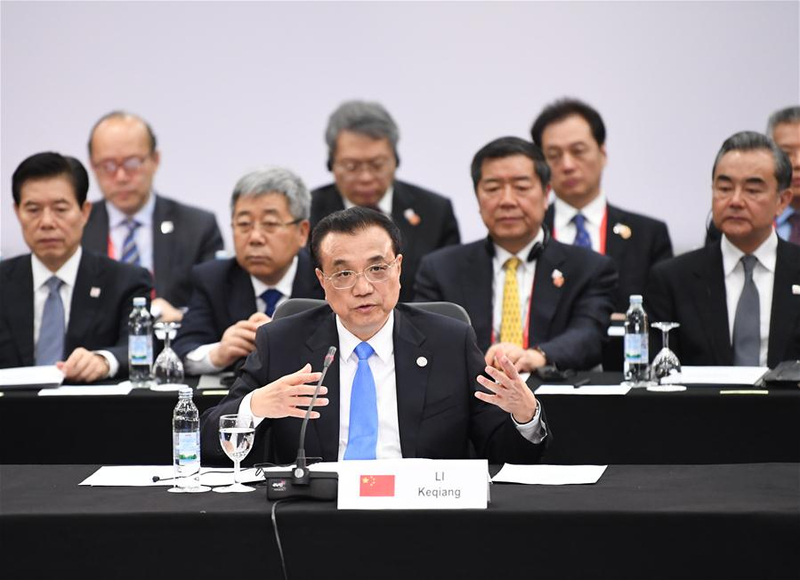 Chinese Premier Li Keqiang called for broader cooperation and ties between China and Central and Eastern European countries (CEEC) on Friday. 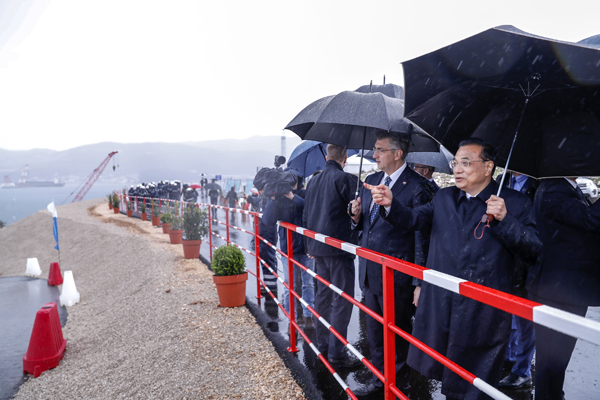 He made the remarks while meeting with prime ministers from countries like Poland, Estonia, Lithuania, Montenegro, North Macedonia and Hungary on the sidelines of the eighth leaders' meeting between China and CEECs at the southern Croatian coastal city of Dubrovnik. Poland is a CEE country with significant influence, Li said. 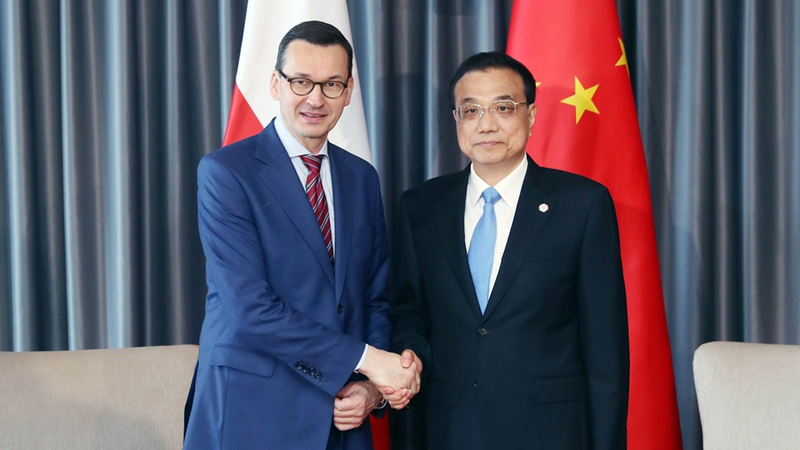 China highly values developing ties with Poland and is willing to enhance political mutual trust, strengthen strategic communication, and deepen pragmatic cooperation to promote the development of China-Poland relations. Li expressed hope that the two sides could deepen cooperation in the fields of economy and trade, agriculture, civil aviation, and infrastructure construction. He mentioned that at the 21st China-EU leaders' meeting in Brussels on Tuesday, the leaders agreed to treat other nations' companies with a fair, just and non-discriminative manner. China attaches great importance to their cooperation under the China-EU and China-CEEC cooperation (16+1 cooperation) frameworks and expects Poland to contribute more wisdom and efforts. For his part, Polish Prime Minister Mateusz Morawiecki said the bilateral ties are developing rapidly, and fields of cooperation are extensive. 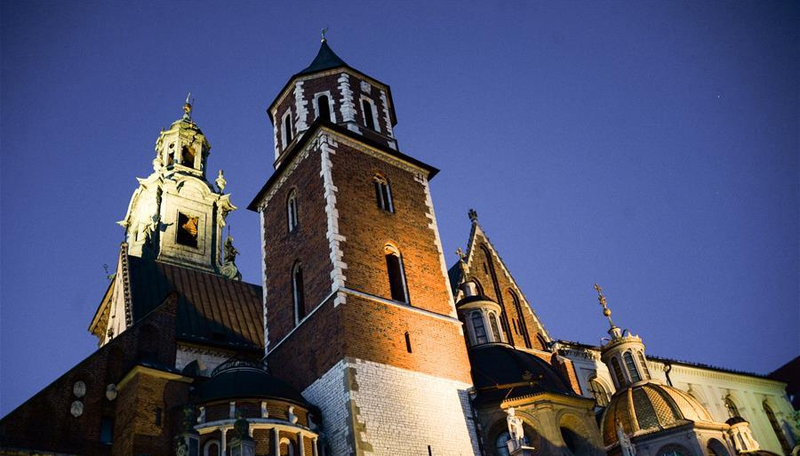 Chinese firms are also welcome to invest in Poland, and make headway in cooperation in the fields of agricultural products, furniture, cosmetics, infrastructure construction as well as in maritime and cultural areas. Poland stands ready to carry out third-party markets cooperation with China under the 16+1 framework to jointly accelerate its progress, the prime minister said. On cooperation with Estonia, Li said bilateral relations have shown booming momentum with fruitful practical cooperation and a broad cooperation prospect. The two countries have maintained close exchanges via multiple channels, and promoted bilateral ties and cooperation by utilizing the China-CEEC cooperation platform, he added. The premier said China is willing to enhance cooperation with Estonia in the fields of e-commerce, education, innovation, and the digital economy, and expand imports of Estonian agricultural, livestock and marine products Chinese consumers love. 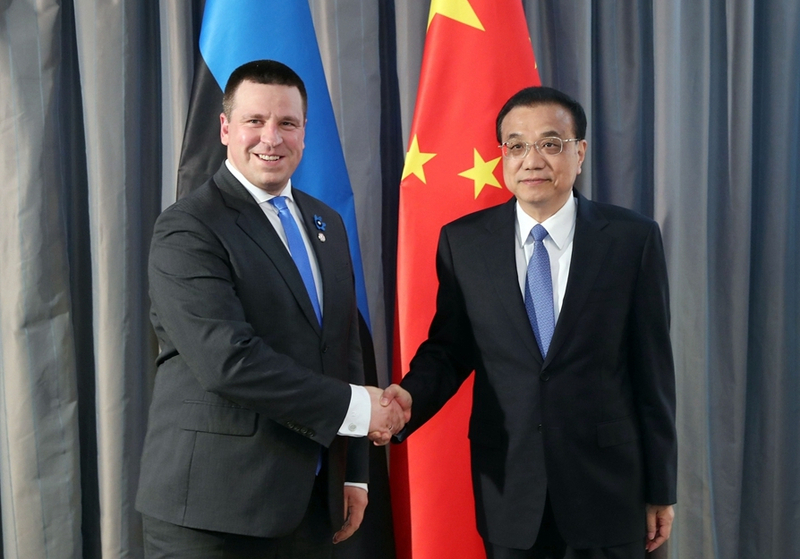 Estonian Prime Minister Juri Ratas said the Estonia-China relationship is close and has seen a sound development. 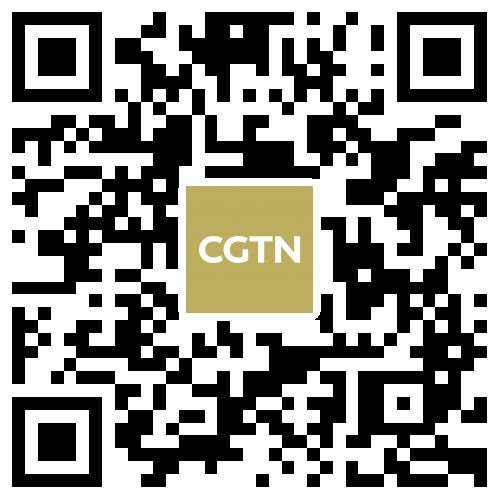 Estonia is ready to take the signing of a series of cooperation pacts as an opportunity to promote practical cooperation with China in the fields of agriculture, artificial intelligence, and 5G, and to promote their communications and coordination in multilateral areas, said Ratas. 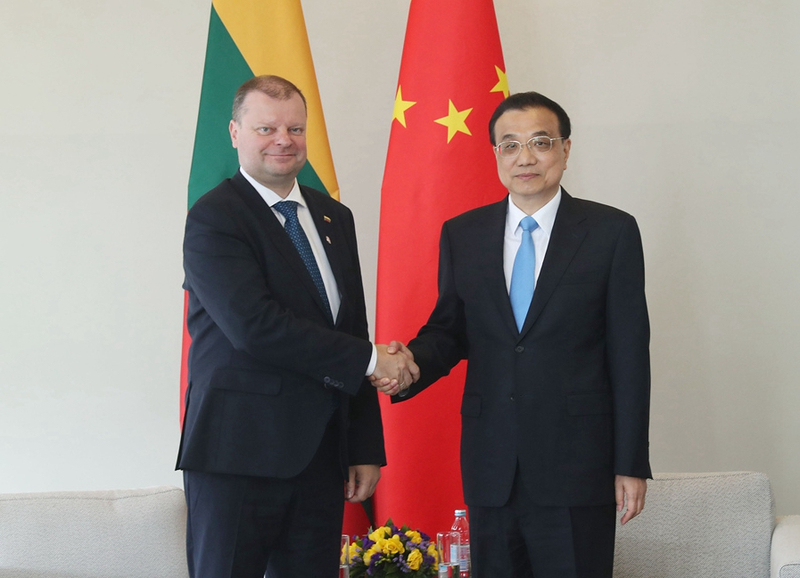 Commending the solid political mutual trust and the broad cooperation prospect between China and Lithuania, Li said the two sides are friendly nations and that the bilateral ties have maintained positive development momentum since the establishment of diplomatic relations. He said China and Lithuania have deepened the alignment between the two countries' development strategies within the China-CEEC cooperation framework, and that the bilateral practical cooperation has yielded abundant achievements. China is willing to keep promoting bilateral cooperation in accordance with market principles and European Union (EU) rules, and import more of the European country's competitive products, so as to push forward bilateral ties to a new stage, said the premier. Lithuania's Prime Minister Saulius Skvernelis said his country attaches great importance to its relations with China, adding that the two sides enjoy sound cooperation within the frameworks of the China-CEEC cooperation and the China-EU relations. Lithuania stands ready to join China in deepening their practical cooperation, and exploring cooperation in finance and infrastructure, as well as cultural and people-to-people exchanges, he said. He also said that Lithuania wants to export to China more of its competitive agricultural and livestock products for greater achievements in bilateral ties. Li said China is willing to join BiH in promoting their all-round cooperation while meeting with Denis Zvizdic, chairman of BiH's Council of Ministers. Li said China and BiH enjoy sound relations, complementary advantages, and huge potential for cooperation. He said China stands ready to work with BiH to enhance all-around cooperation, share development experience, explore new cooperation modes, and make good use of market rules, so as to make sure that cooperation projects between the two countries are sustainable. The Chinese premier called on the two sides to enhance transport infrastructure construction cooperation and to work together to promote cooperation between their respective enterprises, particularly that of small-and-medium-sized firms. China welcomes more of BiH's agricultural exports that are suitable for the Chinese market, he added. Zvizdic said BiH highly appreciates its relations with China, adding that the two sides enjoy smooth bilateral economic, cultural and education cooperation. He hailed the China-CEEC cooperation as an important platform which has important significance to regional economic and social development, saying that BiH hopes to export more of its competitive agricultural products to China and enhance cooperation in technology and science park, infrastructure construction, processing, and manufacturing, so as to realize mutual benefit and win-win results. On ties with Montenegro, Li said China is willing to enhance cooperation with the country in the economy, trade, investment, clean energy as well as transport infrastructure. The Chinese premier noted that China and Montenegro have maintained a traditional friendship and deep political mutual trust. He encouraged businesses of the two countries to conduct negotiations based on market-oriented principles. China hopes to achieve steady and positive progress in various areas of bilateral cooperation and join Montenegro in gaining further development of bilateral friendship and cooperation, said the premier. Montenegro's Prime Minister Dusko Markovic said Montenegro and China share a friendly relationship, and bilateral relations have maintained good momentum for development. Montenegro hopes to step up alignment and cooperation with China in areas including transport infrastructure, industries, and green energy, Markovic said. Markovic also said that Montenegro has actively participated in China-CEEC practical cooperation, and expects to further bilateral relations to benefit the peoples of the two countries. 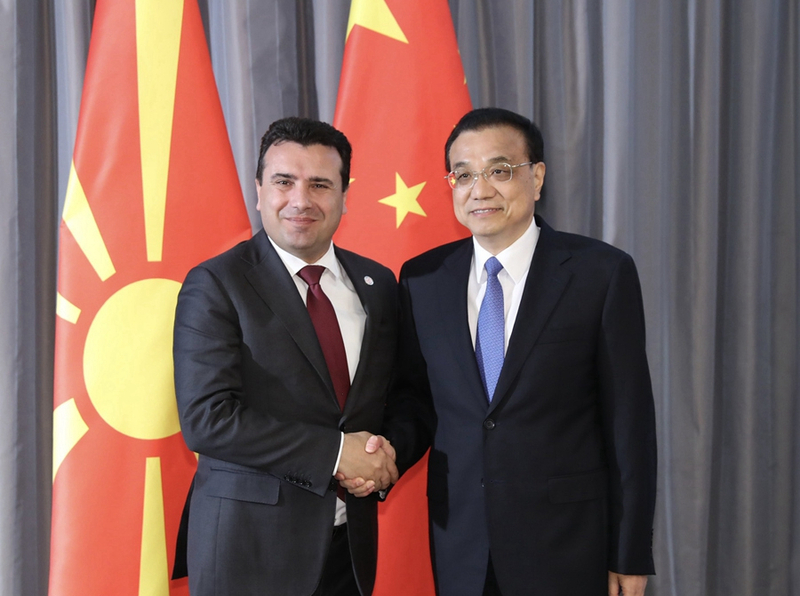 During the meeting with North Macedonian Prime Minister Zoran Zaev, Li called on the two countries to enhance infrastructure cooperation. North Macedonia stands ready to work with China to enhance cooperation in trade, investment, energy, agriculture, and infrastructure to boost bilateral relations, he said. 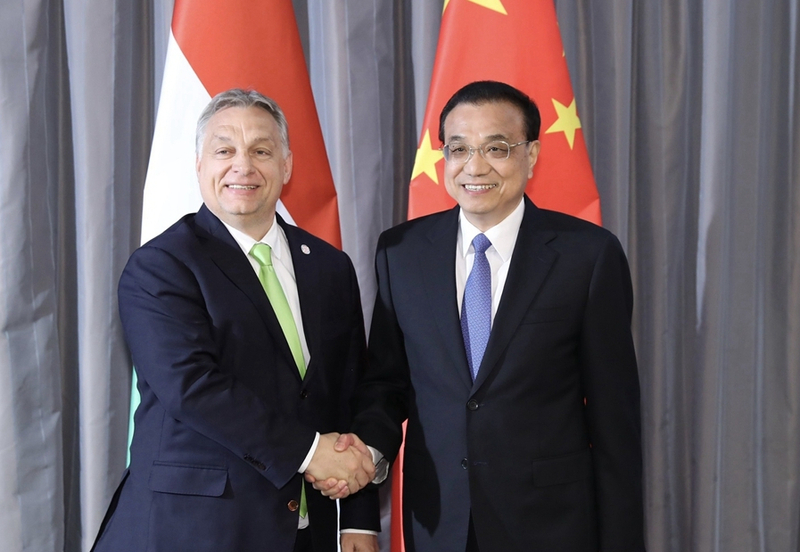 Premier Li also confirmed China's willingness to maintain high-level exchanges with Hungary during his talk with Hungarian Prime Minister Viktor Orban. This year marks the 70th anniversary of the establishment of China-Hungary diplomatic relations, said the premier, adding that the bilateral relationship is at its best time in history. He called on the two countries to enhance communication and coordination through their joint economic committee, and steadily advance large project cooperation, including the Hungarian section of the Belgrade-Budapest Railway. Li said China welcomes high-quality products, including Hungary's agricultural products, to the Chinese market, and encourages competent Chinese enterprises to invest in Hungary through open tendering. China also supports its citizens in traveling to Hungary, and is willing to expand people-to-people and cultural exchanges to further consolidate public support for stronger bilateral relations, he added. For his part, Orban said China and Hungary will this year jointly celebrate the 70th anniversary of the establishment of diplomatic ties. Hungary is willing to continue strengthening practical cooperation with China, accelerate the implementation of the Hungarian section of the Belgrade-Budapest Railway, and enhance cooperation in areas including agriculture and tourism, he said. 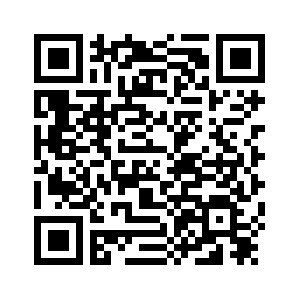 Orban said Hungary expects to draw up a development plan for Hungary-China cooperation to promote bilateral relations. The Hungarian side is glad to see that the Europe-China relations are moving forward smoothly, adding that his country will make further efforts to sustain this momentum. Noting that this year marks the 70th anniversary of the establishment of China-Romania diplomatic relations, Premier Li said China is willing to work with Romania to conduct multi-layer and multi-area cooperation to lift bilateral ties to a new level. China is willing to enhance cooperation with Romania in such areas as nuclear energy, major projects, finance, agriculture, and traditional Chinese medicine, Li said. On her part, Romanian Prime Minister Viorica Dancila said this year Romania and China will jointly celebrate the 70th anniversary of the establishment of diplomatic ties. She expressed hope that the two countries will maintain high-level dialogues, and promote practical cooperation in areas including economy and trade, investment, infrastructure, agriculture, and traditional Chinese medicine to further boost bilateral relations. 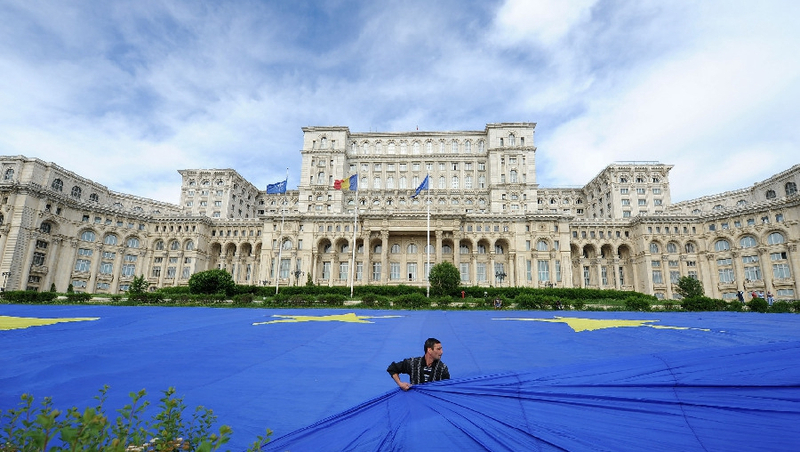 Holding the rotating presidency of the European Union this year, Romania is willing to take active measures to promote Europe-China relations, Dancila said.